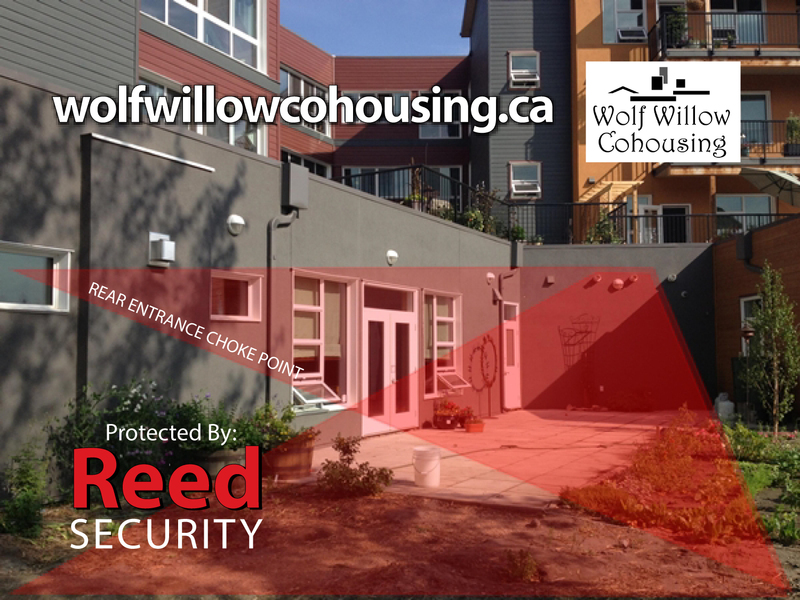 When the nice people at Wolf Willow Cohousing wanted to get better security they partnered with Reed Security. All Owners can now access ReedHD Hi-Def Cameras from their iPhones, iPads, and Android Devices and can see Who's at the Front Door, Back Door, Overhead Door, and Patio Door. A Reed Security Consultant comes out to meet with you and performs a Free (you sure get a lot of value) needs analysis. We ask a lot of questions (but we really want to help you). We determine the Problems You Are Having and create a Security Solution that fits your needs and budget. We create a Security Device Map and show our clients how we can protect them - see above. We create a computerized security estimate with all the Details and Pricing. We can e-mail it to you or drop it off in person. We invite you to come down to our showroom for a live demo. Our Selling Machines (sales reps.) are trained to be Consultants - not Product Pushers. Don't hold back on the details. We need to know the exact problems with Theft or Low Productivity you are having. All information is strictly confidential. Be open to our ideas. 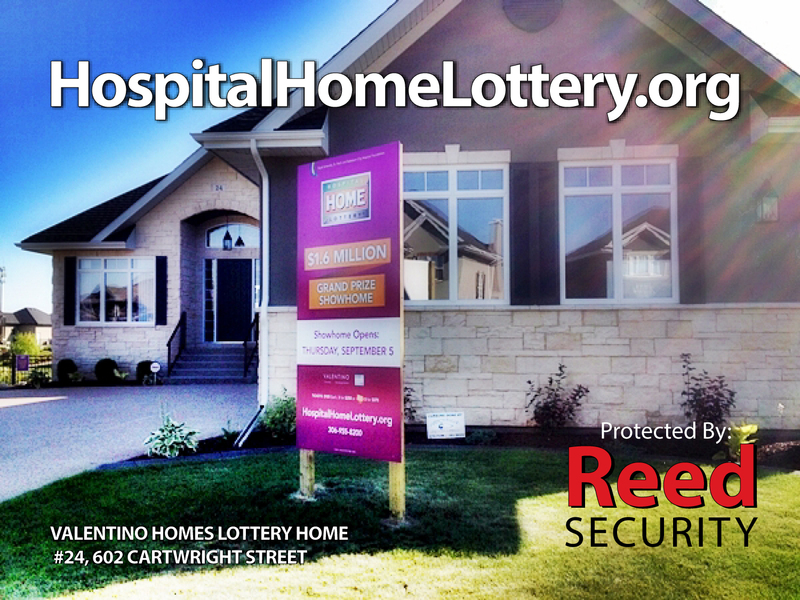 We have installed security at thousands of Saskatoon homes and businesses. We can tell you what has worked and what has not. Ask a lot of questions. It should feel like a 2-Way conversation. With your input we can customize a security solution you will be happy with. Be Honest With Us. If the Price is too high we can create a Payment Plan or reduce the project size. Come down to our office for a Demo. We want you to Try Before You Buy. Sign Up. Hopefully we've earned your business by going the extra mile. Get Trained. There's nothing worse that not knowing how to use your security investment to Reduce Losses. 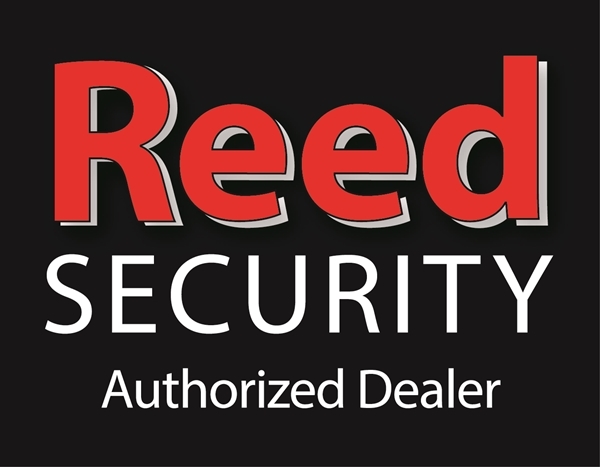 If you would like more information on any Reed Security Product or Service please Click Here or call 306.653.3200. You Could Be "the Man"
3,900 square feet of developed party space - invite 100 of your closest friends to your very own "I Won the Lottery Bash"
DISCLAIMER: THE CONTENT OF THIS EMAIL HAS NOT BEEN ENDORSED BY THE PEOPLE AT THE HOSPITAL HOME LOTTERY. DO THE RIGHT THING AND HAVE A LITTLE FUN. CONSIDER BUYING A TICKET AND SUPPORTING A GREAT CAUSE. TICKETS ARE ONLY $100 EACH AND CAN BE PURCHASED BY CLICKING HERE. VEHICLES AND BOAT ARE NOT PART OF THE GRAND PRIZE. -When will you be returning? -Avoid walking in the front so you can avoid be hit in the head. -This should be a Red Flag. 4. Follow Your Instincts about People. 5. Know Where all the Exits Are so you can Escape. 6. Ladies – Don’t use glamour shots for your business cards or advertising. -When criminals were convicted Police have found the ad of the victim circled. 7. Ask for a driver’s license or ID and take a picture of it. -Make it an office procedure. 8. Awareness is Key to Prevention! Use the camera on your phone to Take a picture of the person you are meeting’s vehicle including the license plate. 9. Use the Camera on Your Phone as a Hidden Camera with Recording. eg: I need the Red File for 123 Street. This will let your contacts know you need help and where you are. 13. Even Better – Use Guardly Personal Safety Service App. -One touch on your phone calls 911 and lets your contacts know you need help. -Displays exact location using online Map function. -Only a few dollars a month. -Check out the Guardly App out now. 14. Limit Personal Info. about yourself. 17. Caution about alarm system keypad panic buttons – they may not work! -Alarm systems require active phone lines that may not be hooked up.